Two warning lights popped up first..
And as you do when they light up the dash, your heart sinks. “Not the coilpacks again, the second hand splitfires have been so good up until n-” and then it completely died. The needle dropped, the engine switched off. I fired it up again and it died straight away. Flicking the hazard lights on I tried again and it died then swore, tried it again and it died. What a s#%^ place for this to happen. The next time I started it up with one foot on the brake and one on the accelerator (it’s an auto) and kept the revs high which got it moving enough to crawl up a nearby hill before it ran out of puff and I had to park it and pop the bonnet. 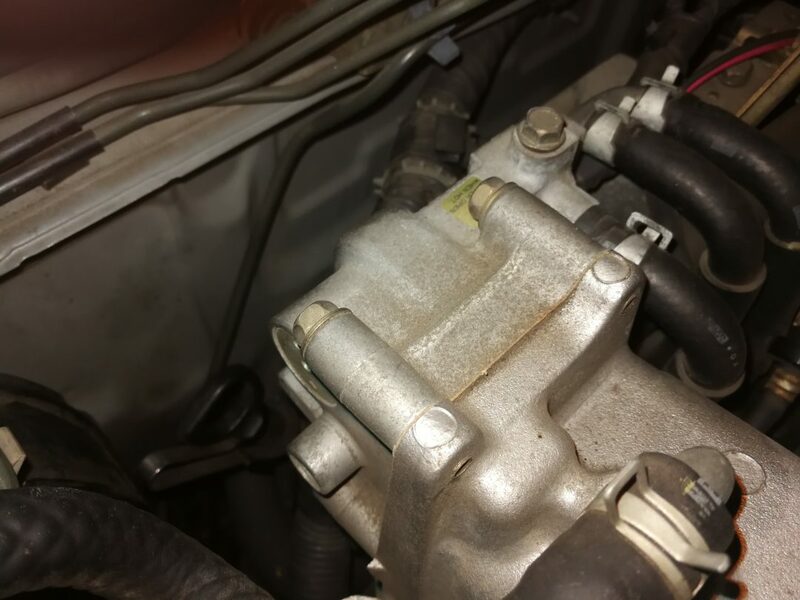 Now at this point I started running though my head what it could be – the last time a similar thing happened was with my Rx7 and that turned out to be a vacuum hose that had dropped off my air intake. Not the case here. Maybe the MAF sensor had broken? I’d re soldered everything a while back, maybe it had fallen over this morning? I kept trying to start it and hold the revs but ultimately just flattened my battery. A great start to my first day back. I’m going to need some help here.. I text my boss to let him know I’d be late, I text my wife to ask for a jump start and before you know it there was her little Lancer trying to coax some life back into the Stag. Unfortunately even though it helped start it again, it would still die as soon as you removed the leads it would die again. 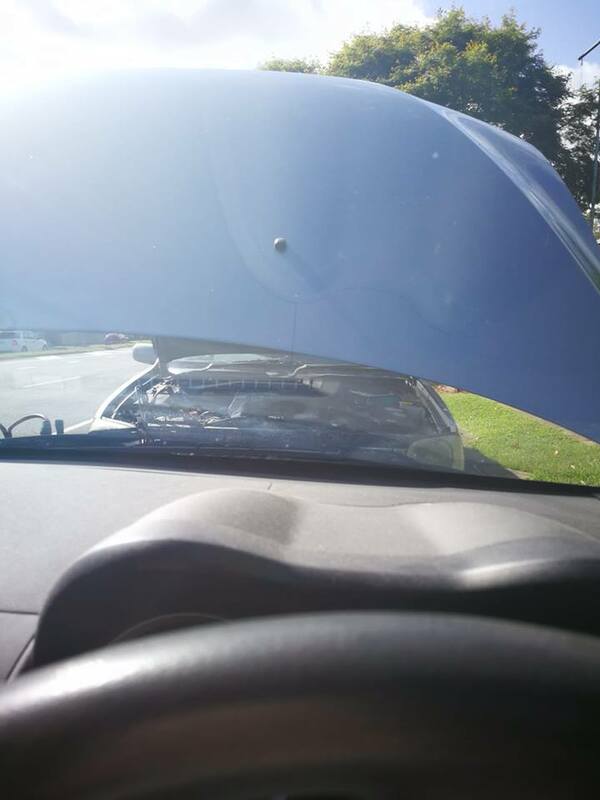 With the kids in the back of her car and needing to get to school and me having to keep a foot on the pedal to keep the revs up – it was a too much of a challenge. Time for someone who has more of an idea of what it could be…or maybe a tow truck. 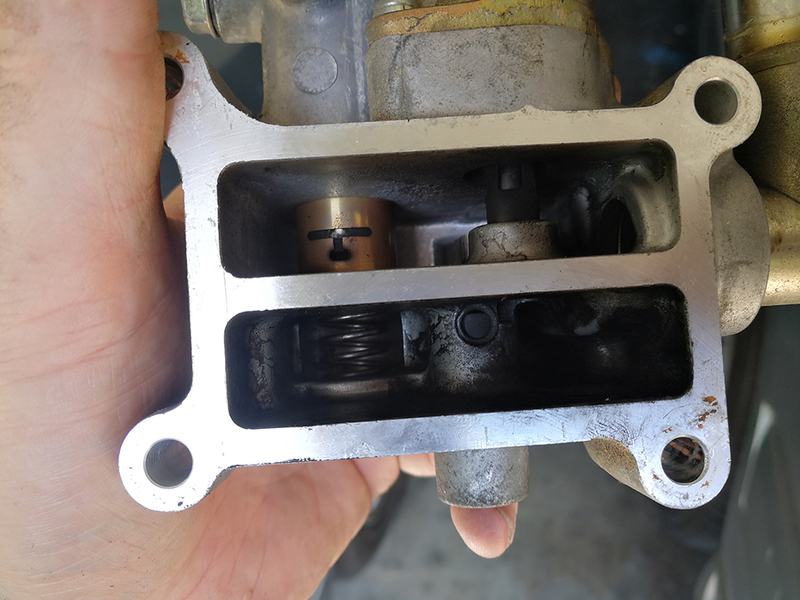 After twenty minutes of having a look, firing it up a a couple of times and even checking the oil levels (no I know they’re good) he brought out the tools and tightened up the throttle cable to great success. It started, it idled, it didn’t switch itself off again. 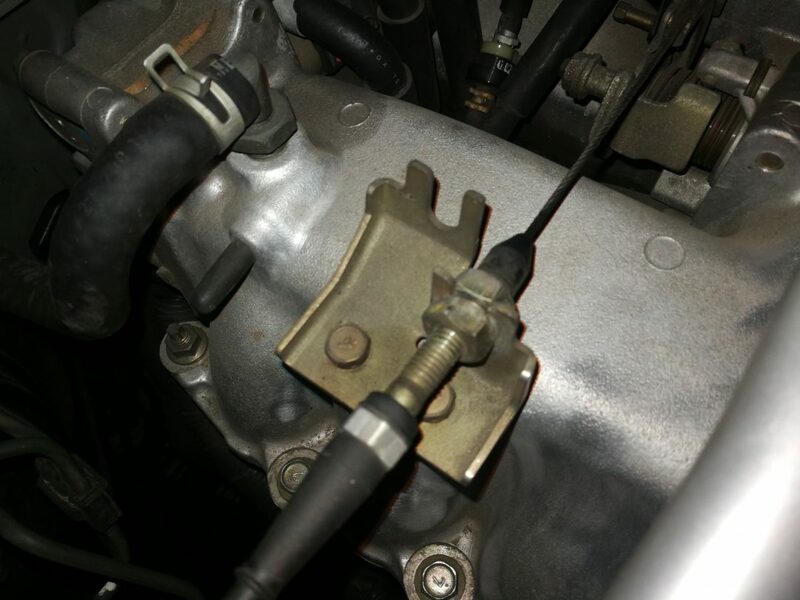 Seriously, just a stretched throttle cable? That’s all it was?? This thing stretched just enough to drop the revs.. So it’s working, why am I cleaning up the IACV then? A search around the net seems to point at people cleaning their IACV and smoothing rough and strange idles out…so let’s try that! Here’s what’s coming off. Drivers side at the back of the block. Pliers to get the hose clamps off. 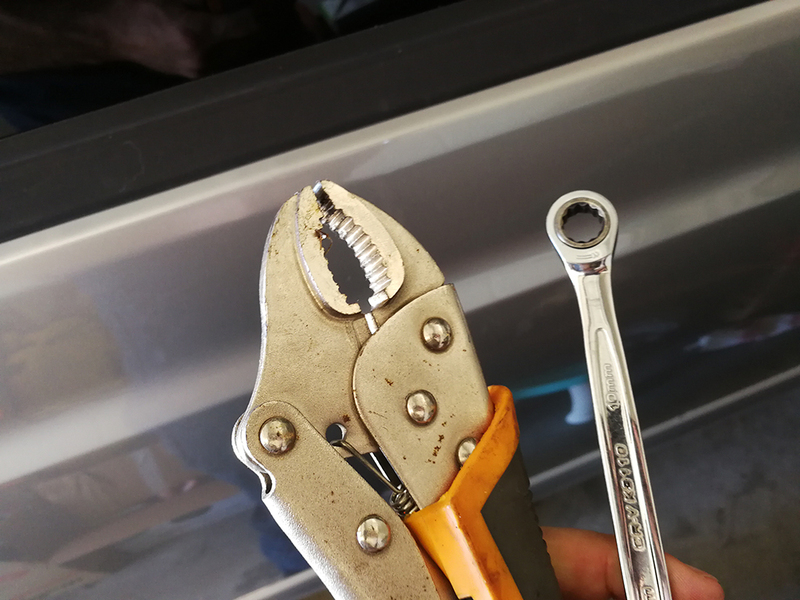 I like locking pliers for this purpose. Carby/ throttle body cleaner. I was going to try degreaser but since YouTube and the world wide web in general seem to swear by the stuff, who am I to argue? Gasket maker/seal. Just in case. I have some leftover Permatex Black from the WRX job. Provided it hasn’t hardened to the density of a rock, this could come in handy. Right then, lets get this thing cleaned! 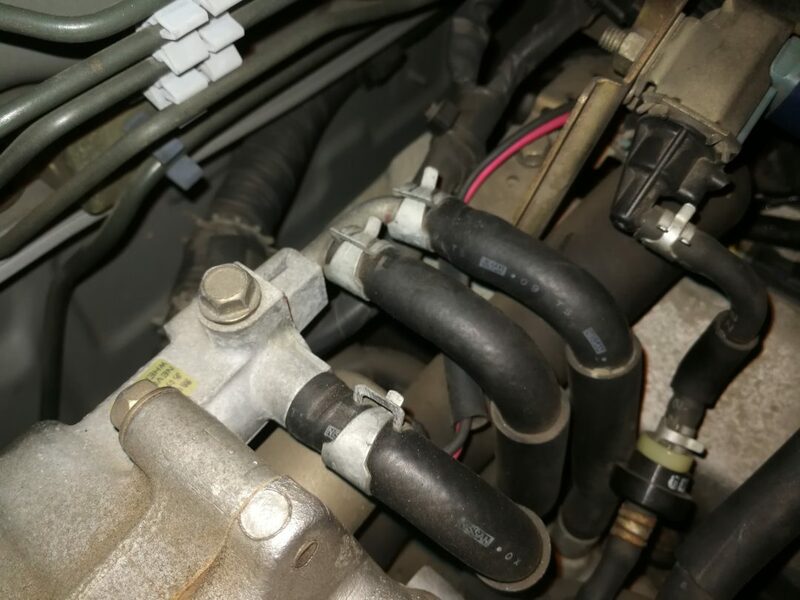 Remove the three small hoses (you may get a dribble of coolant. I didn’t but had the towel there just in case.) A slow steady pull was all I needed for all three to slide off. 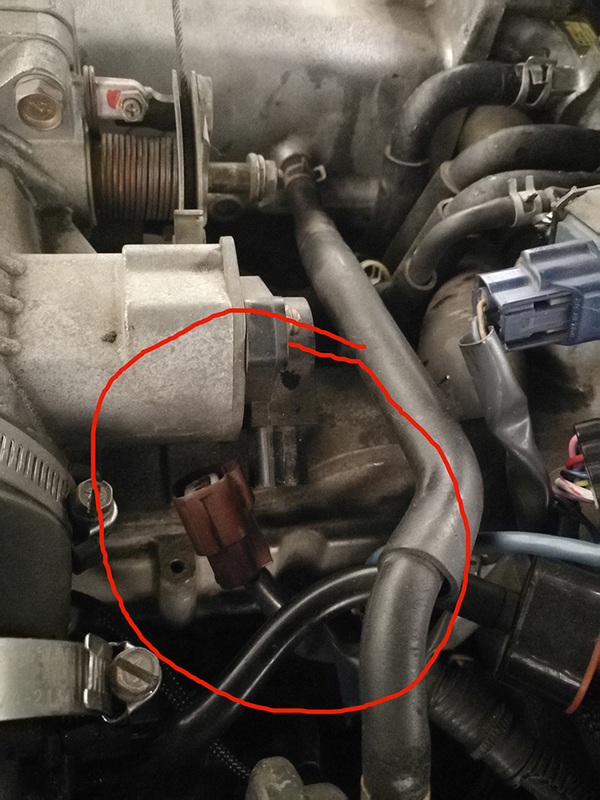 Remove the larger hose connected at the bottom and now it’s free! Now I thought it’d be absolutely caked with carbon but this is what I’d call a light smattering. Still it’s out of the car now so no point throwing it back in there without a clean first. 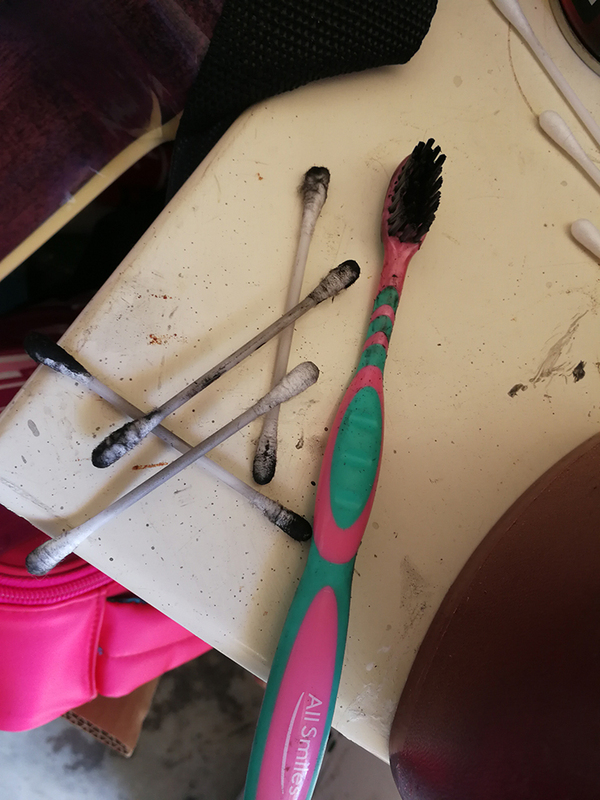 I used plenty of carby cleaner with an old toothbrush and plenty of cotton wool buds to really get into the corners and crevices. And things looked a little brighter! 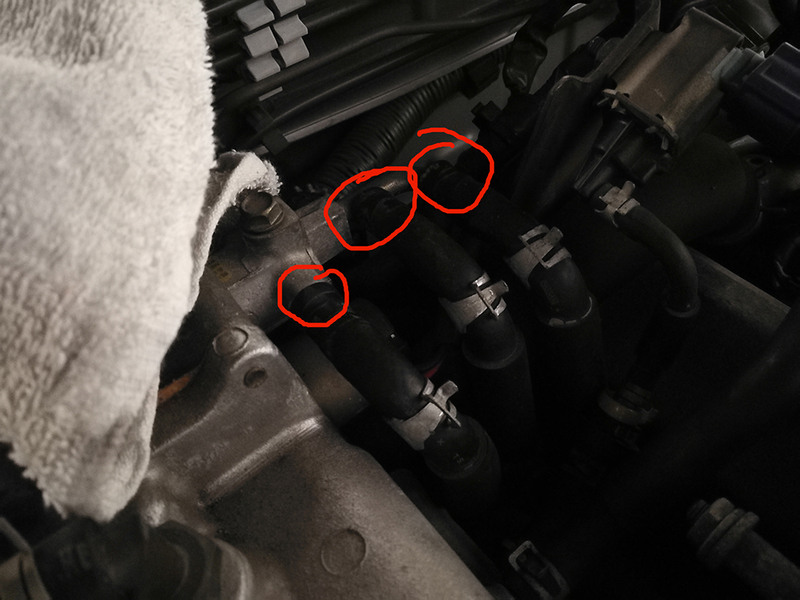 Reconnect the three coolant hoses. 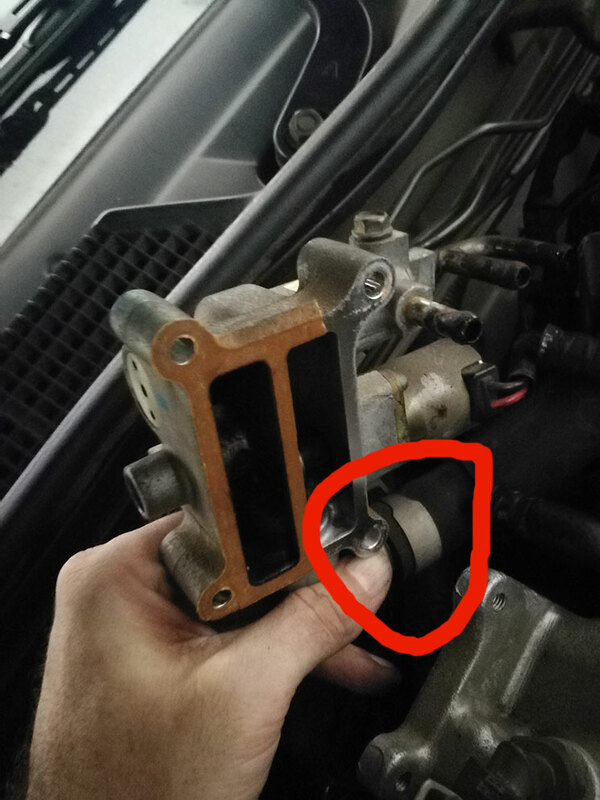 This bolt here next to the little sticker is to bleed the coolant of air. Remove bolt, start car, wait til a little coolant comes out, stop car, put bolt back in, well bled. With everything back in, now we fine tune the idle. Start the car. Mine started but dropped the revs without the TPS giving it a hand to cough up a couple of warning lights. That’s okay, we want it to warm up without any assistance. 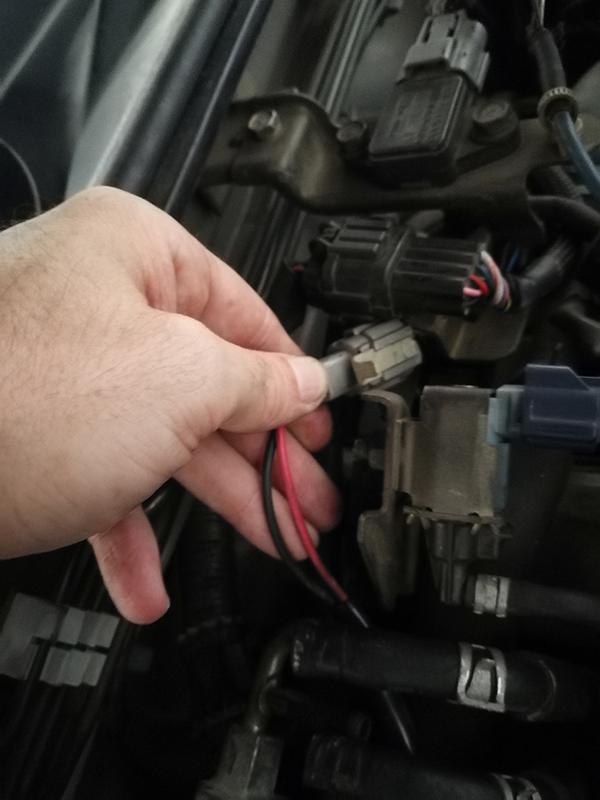 Adjust the IACV screw to get the idle revs to 800-900 rpm. Clockwise lowers the revs, counter clockwise brings them up. The adjustment screw is here on the IACV and you’ll need a stubby screwdriver to turn it either way. I took the wagon for a quick blurt down the road and so far so good. 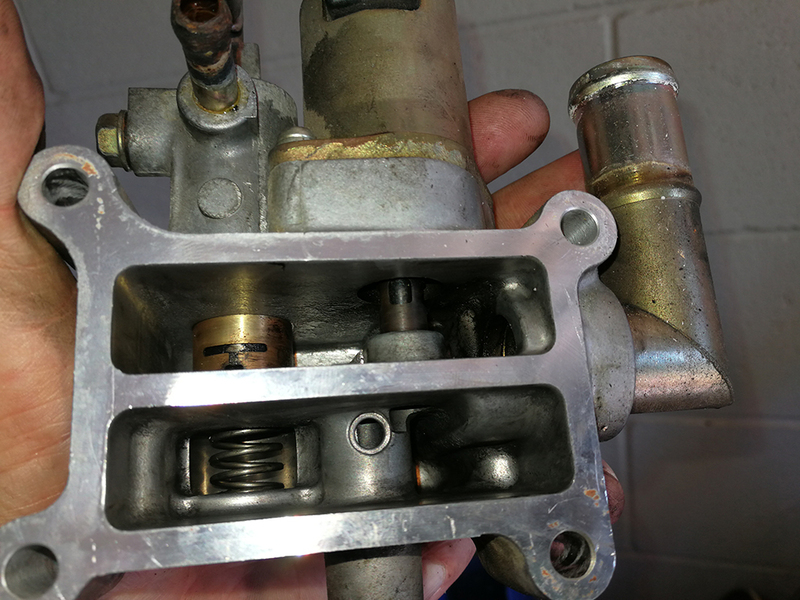 With the IACV clean and the idle back up to where it should be, things do seem a little smoother. 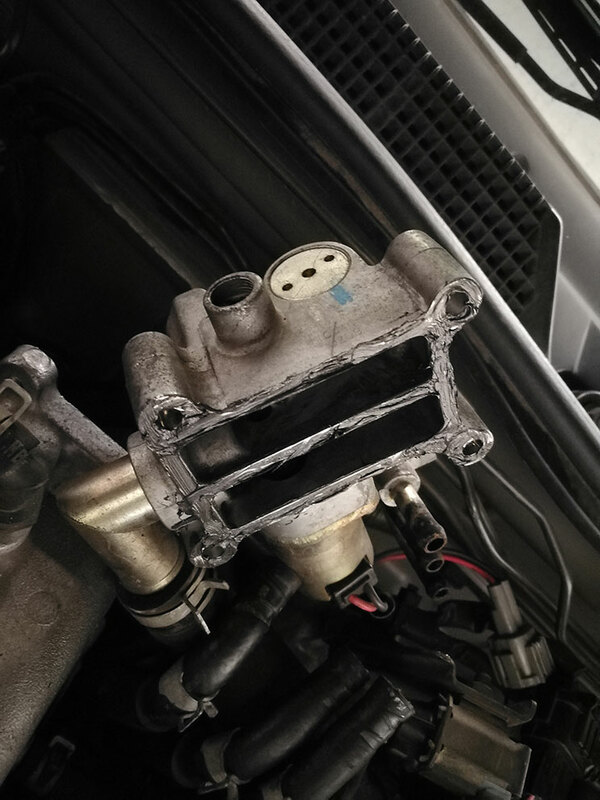 The true test was the air conditioner – so I turned it on, the revs dropped slightly (as expected with the power draw on the engine) however…no needle bounce when at the lights! No flickering lights on the dash when it’s in use. The air was cold, the revs were behaving. Glorious! Now onto the next job!